One bedroom furnished apartment with sea view, 5 min walk to the beach 5-7 min walk to the Marina, balcony, restaurant on site, reception and security 24h, 2 swimming pools! 10 min walking to the city centre with nice restaurants, night life, local market, Praia D'Ana beach with picturesque coves and steep seaside cliffs, batata beach, Pinhão beach and many other beaches the Algarve is famous for. If you want to see more of the Algarve you don't have to travel far by car or train to explore other nearby places worth visiting such as Praia De Luz, Portimao, Albufeira and Vila Moura which has a casino. Bedding : 1 Double bed, 1 Sofabed. Dish washer, Laundry machine, Sheets and towels included, Swimming pool belonging to the residence, Air conditioning, TV, Parking lot belongs to the building and underground private parking, Cooking stove, Oven, Microwave, Fridge freezer, Coffee maker, Toaster, Kettle, Bath tub, Bidet, Barbecue, Iron, Ironing board, Hair-dryer, Heating,Radio, DVD player. This apartment is very comfortable. 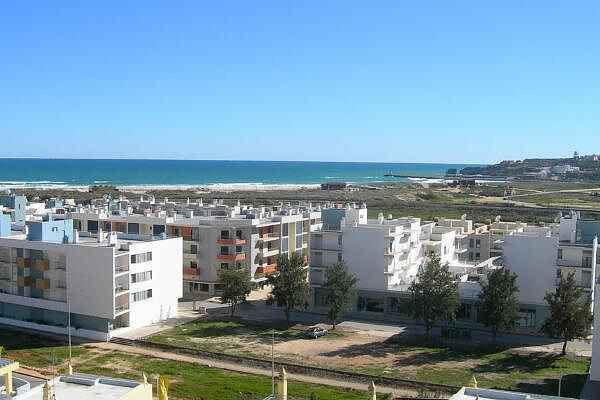 Private balcony with built-in barbecue and magnificent sea views over Meia Praia Beach and the Marina. Reception service, 24hour security, underground car park, on-site restaurant, private swimming pools, children's area w/ mini golf. Lift to apartment and wheelchair ramp access to building. You will be near everything and away from noisy places. Nice for resting and at the same time 3 to 5 minutes walk to everything you need. Just behind the Marina de Lagos where you can find restaurants, some bars, paper-shop, coffee shop, supermarket, etc, etc. 5 minute walk to the city centre, a historic place, nice to visit and discover. Lagos is a very nice and secure place to walk at night and the dining is GREAT.